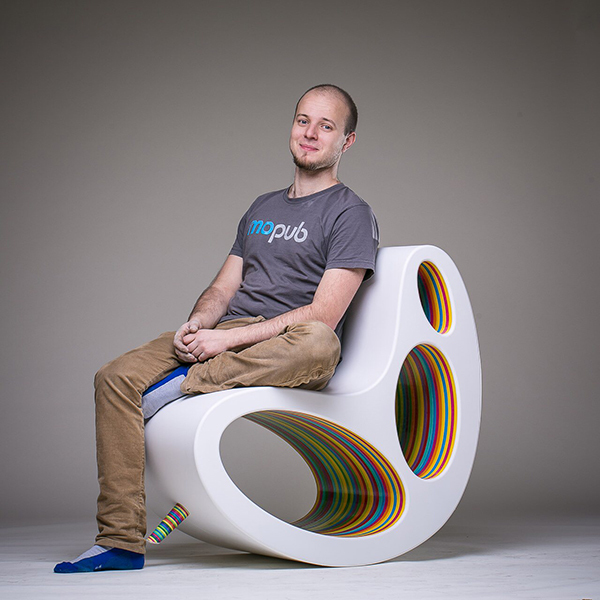 Overview: In bright white and rainbow colors, Alex Petunin’s DP Chair almost looks like it’s got a candy-coated center. As versatile as it is vibrant, the design can be used in two distinct ways- as a lounge for leaning back or as a rocker. 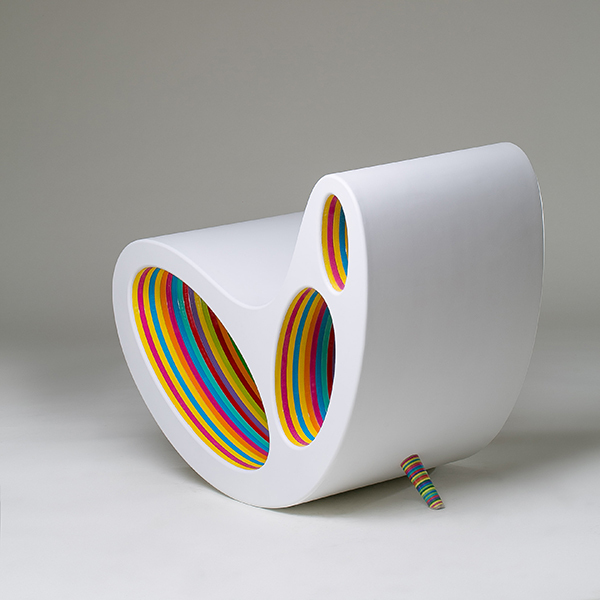 It’s colorful stoppers keep it in place and prevent users from rocking too far. As yummy as it looks, don’t bite. It’s all hand carved wood!